Take BFF #RelationshipGoals to Another Level for V-Day! This Valentines Day we are celebrating a love affair that knows no boundaries. Yes, we are talking the bond of a best friendship that can last a lifetime. When a night in together (think sweats and pizza), beats a night out, you know you have met your match. 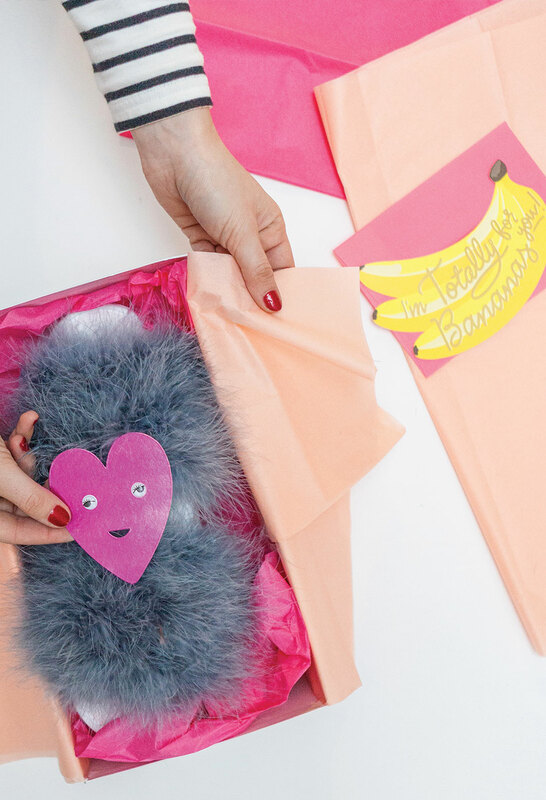 On February 14th, celebrate your love for one another with a gift that will make you both feel warm and fuzzy all over with a pair of super chic DIY slippers. Ladies, you don’t need to keep waiting for that glass slipper, these fluffy feather ones are about to rock your world! This post was created exclusively for American Express Card Members who are kind of our BFFs too. If you’re like us, we have tons of hotel slippers we have taken from past travels. 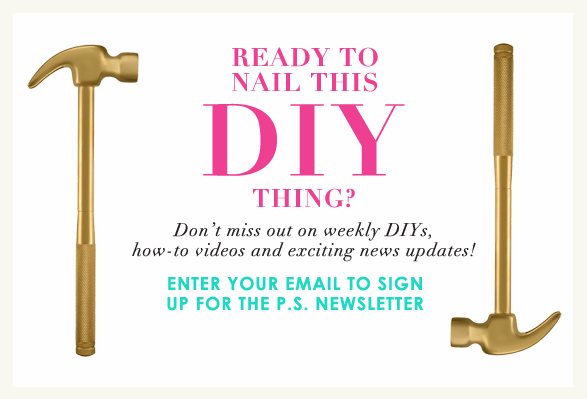 This DIY will reinvent those in no time. 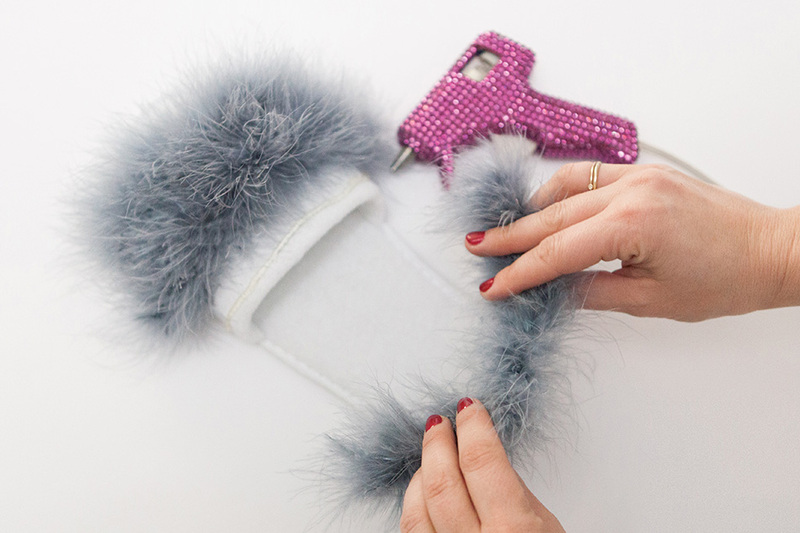 Simply purchase some feather trim in the color of your choice, grab your trusty glue gun and scissors and you’re in business. 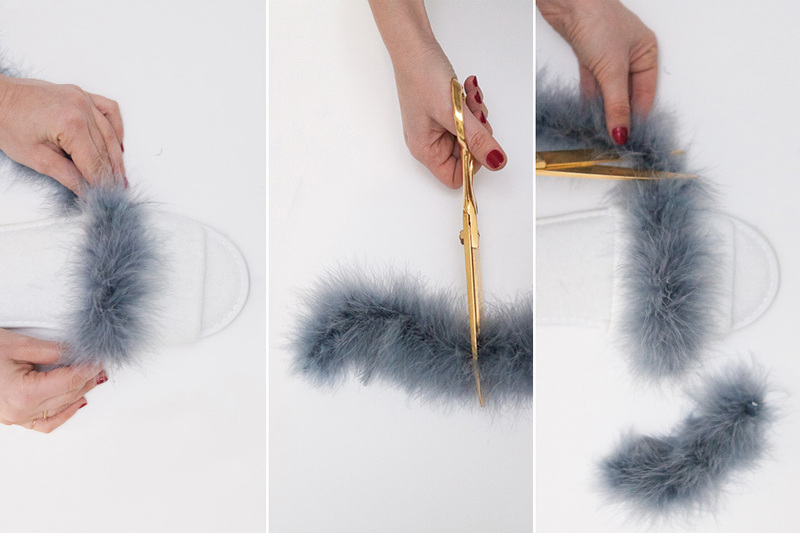 Measure and cut the feather trim to cover the top of your slipper foot hole. 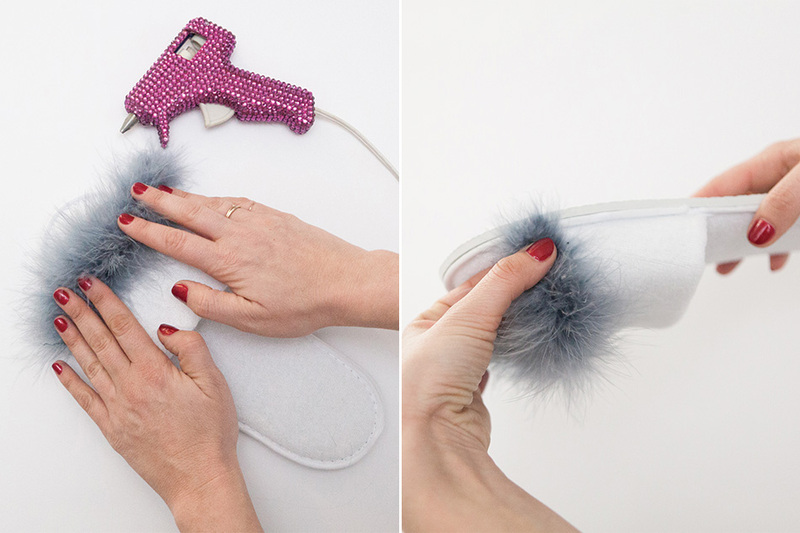 Depending on size of slipper, you will need 2-3 small pieces to cover surface. Use your glue gun to make a straight line of hot glue and press the trim firmly down, holding in place for 5 seconds until secure. Repeat the process until the slipper is fully covered. Voila! Now if this doesn’t show your BFF how you want them to keep cozy and carry on, not sure what will! PS- we recommend making yourself a matching pair because you wouldn’t be besties if you didn’t always have a matching moment. When it comes time for wrapping your gift, or in fact any gift, just remember it is all about volume, color, and texture! Making a gift really pop and look like it’s a million bucks is easier than one may think. Using two shades of colorful tissue paper automatically infuse a high-end feel with a bold look that feel very custom and extravagant. Forget the plain white, when you can turn up the volume with just a few extra layers love. Sealing your gift with a little love note and a big personality shows your Numero uno pal you spent the time to find something that was unique, just like them! In our book, it’s the sillier the better. Valentines Day doesn’t have to be about romance or lack of it. Embrace this holiday as a way to express that you are totally bananas about your bestie. So reach for the googly eyes and get punny. It’s really that easy. Keep this holiday fun, light, and make sure there is laughter. Last but surly not least, the gift topper accent that people love but are always afraid to actually tie themselves, the ultimate bow! In order to tie a bow that garners a wow, make sure you use a very wide ribbon, or a ribbon with a lot of texture and/or wiring. This will ensure any gift look amazing- trust us. 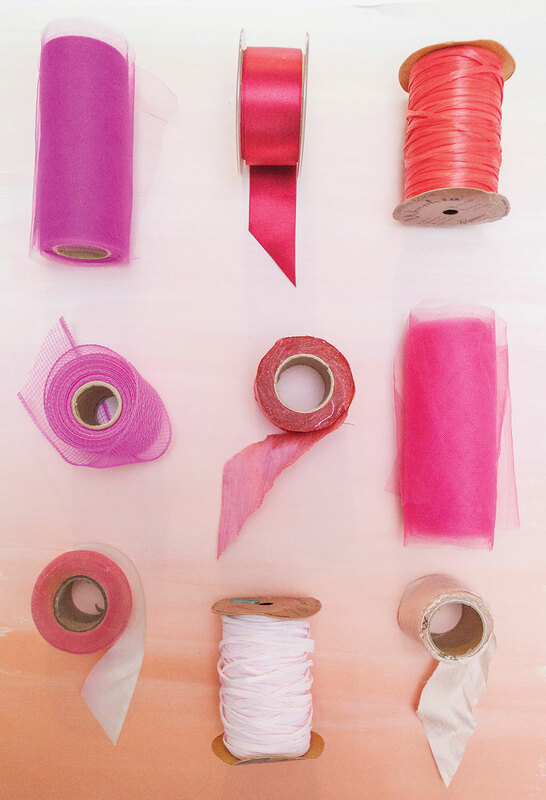 Here are some of our favorite ribbons that make any gift look gorgeous! No matter where you find yourself on Valentine’s Day, always know that your BFF and you are the perfect combo for life, when it comes to adventures, crafting memories or even you’re down to simply Netflix + Chill. 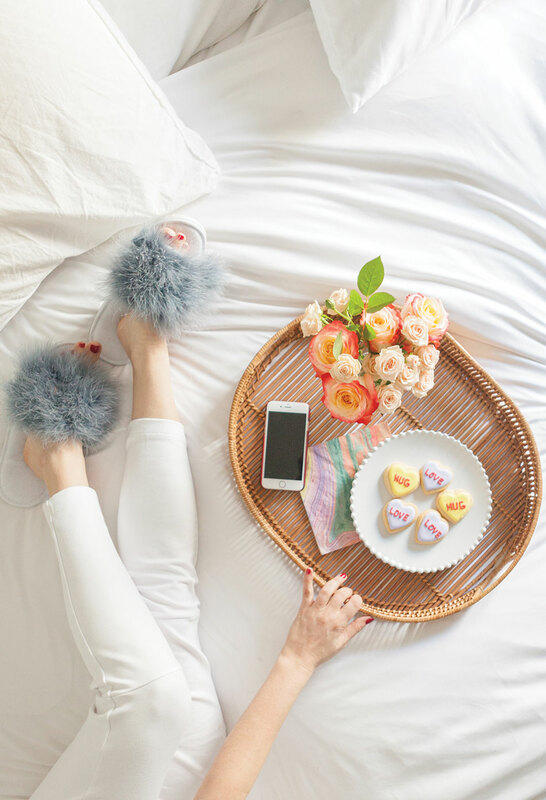 Make them the ultimate gift of friendship that says ILY like some next-level fluffy slippers that will last a lot longer than some of our past relationships… am I right, ladies! ?